Smart, clean uniforms make a big impression but how do you keep them that way – or keep hold of them at all? DRESSCODE™ – Autovalet’s inventory management software – provides the answer by making employees accountable for what they have been given. Every item in inventory is marked with a unique bar code or fitted with an RFID chip for ease of scanning. Whenever an item is issued to an employee, it is scanned and recorded. Likewise when items are sent for cleaning. Termination losses occur when an employee leaves the company but does not return all that he has been given. DRESSCODE™ shows every item outstanding. Vendor losses happen when items are sent for cleaning but do not return from the laundry. DRESSCODE™ helps you claim the cost back. For the first time, you will have a complete picture of current stocks and what you need to buy – an invaluable aid for budgeting. 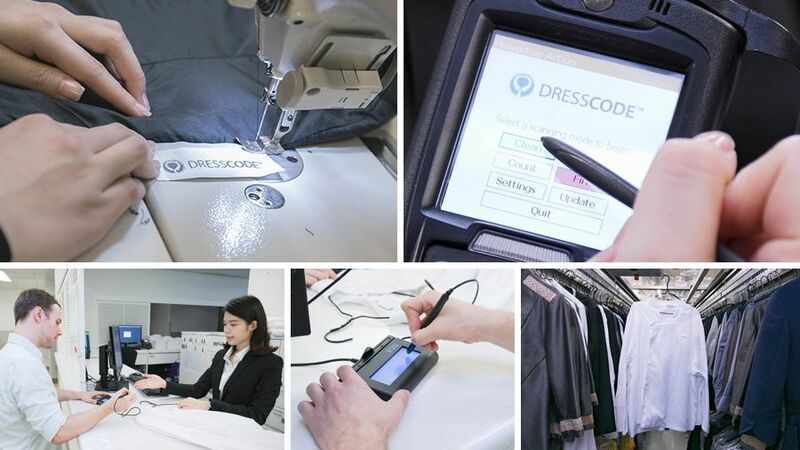 DRESSCODE™ automates manual tasks such as counting clean and soiled laundry with greater accuracy. It also simplifies the collection of items by employees and improves productivity. DRESSCODE™ can interface with many types of conveyors and is also available as a self-service version for theme parks where users can check out items themselves using touchscreens. Contact us to find out more. "Management really appreciate the detailed financial information that we can now give them"
"RFID tracking requires no extra labour but gives us so much more information. I can check my cleaning bills and make sure I get every garment back. We hope next year to extend the system to track linen as well."